Home World Affairs US military asked to house 5000 child migrants: Pentagon. US military asked to house 5000 child migrants: Pentagon. The US administration has asked the Department of Defence to prepare to house up to 5,000 unaccompanied migrant children amid what it calls a mounting crisis at the US-Mexico border. Pentagon spokesperson Lieutenant Colonel Jamie Davis said that the Department of Health and Human Services (HHS) requested to identify space to house up to 5,000 unaccompanied alien children on DoD installations, if needed, by September 30, 2019. 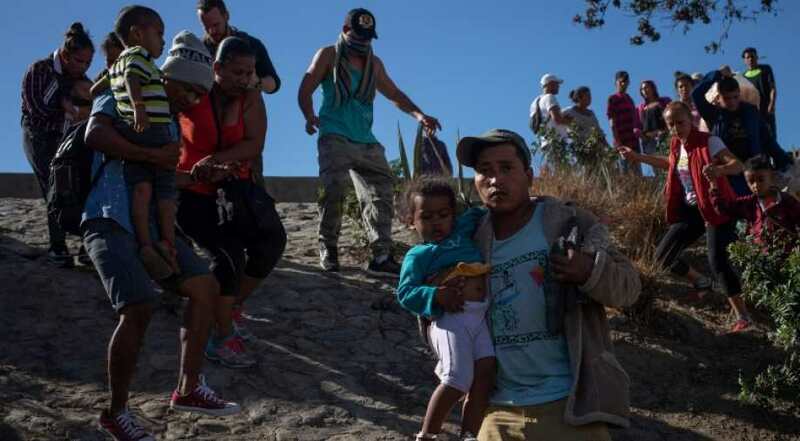 The development comes amid a surge in the number of families and unaccompanied children crossing the US border from Mexico illegally, most of them fleeing poverty and violence in Central America. Previous articleNATO Chief rules out nuclear missile deployment to Europe. Next articleAlmost 100 civilian casualties recorded every week in Yemen in 2018.